Returning to her home-town for her best friend's memorial proves eventful and upsetting for Lauren. 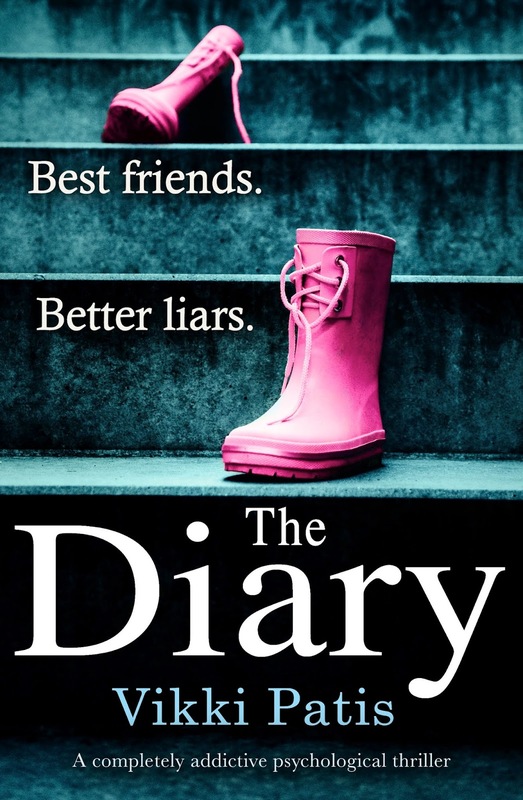 This book had a 'Pretty Little Liars' feel to it, which I absolutely loved. Friends coming back together to remember a departed friend, each having secrets they don't want to come out. 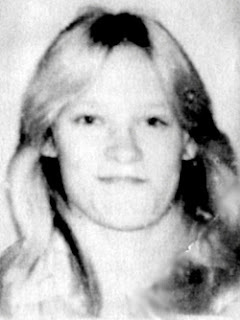 I enjoyed the character of Lauren she had really depth to her. 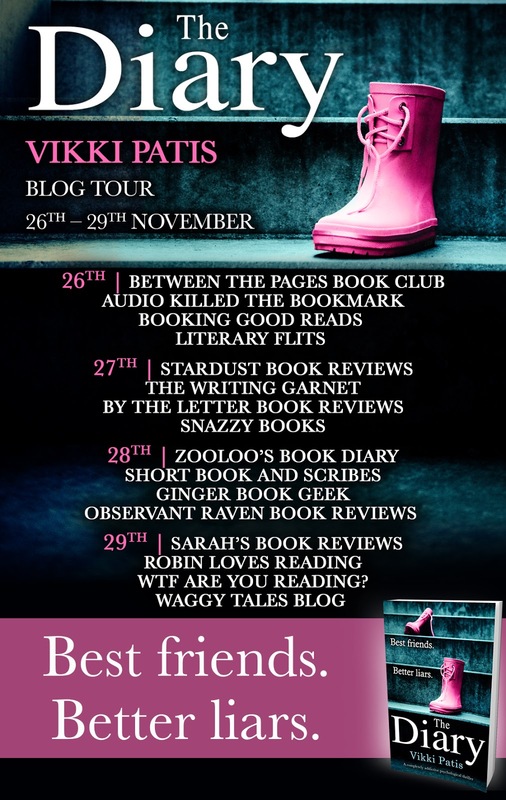 Vikki Pattis has a style of writing that I enjoyed, engaging and difficult to put down. I raced through this book really quickly. For me this is certainly more of a light thriller than I usually read. Having said that there were definite oh my god moments. 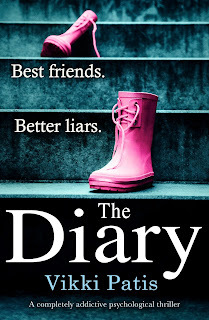 'The Diary' kept me interested throughout. The flashbacks were easy to keep up with and didn't get confusing. 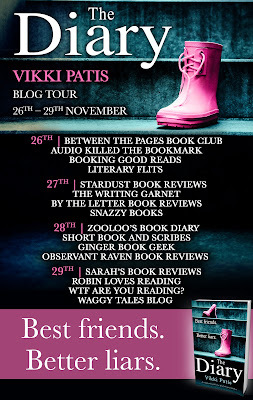 For a debut novel this is a really good story and I hope to read more from Vikki in the future. Thank you to Noelle from Bookouture for inviting me to take part on this tour. To find out what others think follow the rest of tour, dates and bloggers below. This sounds like a fantastic thriller :) It's definitely going on my TBR.